How Long Should I Be Using Meal Replacement Shakes? 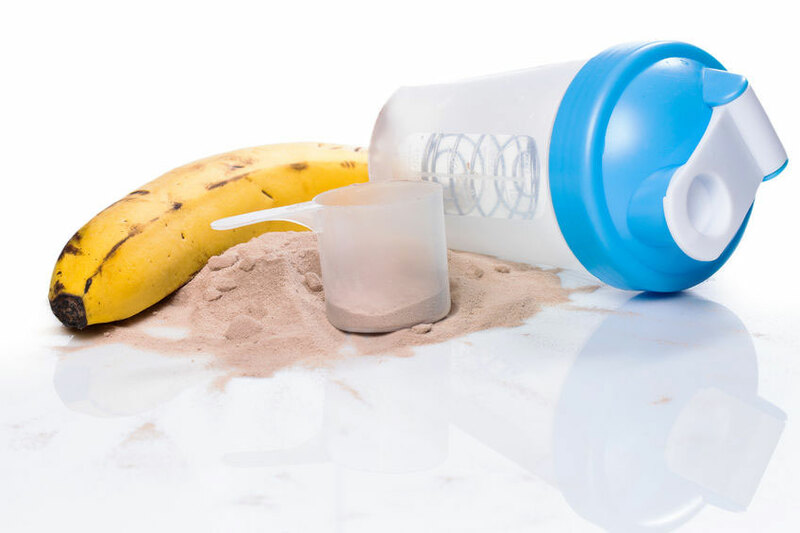 Meal replacement shakes are great if you wish to enjoy a nutritious meal, even if you have a busy schedule that doesn’t allow you to eat properly. They are also extremely useful in weight losing diets since they contain very little calories. Still, there is one question that comes in our minds. The shakes are a great idea, but for how long should be using them? The answer may be very much related to how much weight you wish to lose. And since the best way to lose weight is in small but steady steps, shakes might be a habit of your diet for quite a while. Also, let us remember one thing. The reason you got an increase in weight is because there is something wrong with your lifestyle. You either eat too many sugars and fats, which are too many calories than your body needs, or there is a lack in physical exercising. If our body would receive good quality foods, in quantities that are enough to satisfy the body’s need for our daily activities, plus plenty of water, then we would not be fat. Gaining weight is an imbalance, produced by the daily intake of calories and our style of living. Most of us lead sedentary lives, but we eat like professional athletes. There is no way we are going to burn that much calories in one single day, sitting in an office. You may think that you just have two or three meals per day. But if they consist of fast foods, junk food, fried foods, or any other unhealthy and highly processed foods, the amount of consumed calories in incredibly high. So it is useless to consume meal replacement shakes during the day if you have a large pizza with soda in the evening. These shakes can be a real ally for losing weight, but you must also be willing to make some changes in your eating habits and your lifestyle. So, with the help of meal replacement shakes, being careful about what you eat and how many calories you consume daily, plus adding a bit of mild exercising, you should be able to lose weight. But remember, once you changed your lifestyle, you must keep it this way. If you go back to the old habits, after losing the weight you wanted, the pounds you lost will come right back. And all your work will be for nothing. Thus, take small steps into this process and stick to it for the rest of your life. Getting back to losing weight, the best way to do it is to lose small amount every week. That being maximum 2 pounds per week. 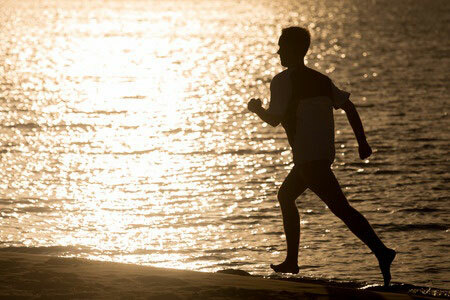 Any faster pace, as much as you may wanted, may unbalance your body and produce health issues. Thus, 2 pounds every week, for the next 10 weeks, means a total weight loss of 20 pounds. If you wish to lose more, just make the math yourself and extend the number of weeks. During this periods, the presence of the meal replacement shakes will be daily. For one meal, maximum two, these shakes will offer you everything you need, with the smallest calorie intake. So, at least you found at least a part of the answer. You should use the shakes at least for the period in which you intend to lose weight. All right, but what do you do after you reach the desired weight? Well, if you really like the shakes and they fit in your busy schedule, then you can continue using them, for maintenance purposes. Many people do that, just to make sure that they have a good control over their weight. And if you use reliable and high-quality shakes, then there is nothing to worry about. Of course, during the maintenance period, you don’t have to buy the most expensive shake. It is easy to understand if you chose to invest into a top quality shake while trying to lose weight. But after completing the process, you can try something at a more accessible price, as long as the composition is still natural, reliable and with no sugars. Also, you should forget about starving while being on a diet. The secret is about balancing your diet, eating more healthy and nutritious foods, and exercising a little. Losing weight through depriving your body of foods is not a healthy way to do it. You can have a little bit of everything, as long as you are aware of how many calories you consume. It is even better to have small but often meals, consisting of healthy dishes and nutritious snacks in between, like fruits, nuts, and whole grain biscuits. Also, by exercising means that you don’t need to work out until you drop flat. That is unless you suddenly decided to put on some muscle mass. Find something you like doing, regardless if it is jogging, swimming, biking, or even taking a long walk. The whole point is to get that body moving. Not only that it is great for your health, but it will also help you burn some calories and maintain a toned body. So, now you know that meal replacement shakes are great for helping you start cutting down on calories. And once you reached the desired body weight, you can continue enjoying them, as they will help you maintain. Since you will be thinner, it will also mean that your body will require fewer calories than before, to offer your body the energy it needs. The heavier the body gets, the more calories it needs to help you move around and do the daily tasks. But now that you got that issue solved, your body’s need for calories dropped significantly. And since a meal replacement shake has a low quantity of calories, it will represent the best type of meal you can enjoy. Remember that being thin represents a different kind of lifestyle, one that respects your body, by giving it only the healthiest and nutritious foods, and keeps it fit by exercising. How do these work for the lactose intolerant people. Nothing mentioned, must be sure I can use this with no problems. This is a Great Article. I believe using it along with an APPliction called Lose It where it will Track your Calories and other Nutritions needed for losing Weight will suit you Body just fine. Go to Walmart and find the kind and flavor of meal replacement shakes that you prefer. I just started on them and already lost two pounds. My goal is to lose 50 pound, and I intend to stick with one shake per day to replace lunch.